—Brian Calkins, Program Director, The Florida Association of Pediatric Tumor Programs, Inc. I took a leap of faith in contracting with Nancy Noonan as a keynote speaker because I had no prior experience in hearing her speak. That was one leap I will never regret. Nancy interacted with our membership prior to her presentation and was able to get a good feel for what we needed, not using a canned message. Our membership has recently been faced with many challenges; they found Nancy to be very uplifting, energizing, articulate and real; and her content thought provoking, motivating and very useful. I strongly recommend Nancy––you won’t be disappointed. The RMGPA was beyond thrilled with Nancy Noonan’s dynamic opening keynote, ‘The Art of Leadership Mastery,’ at our 2015 conference. Nancy is an engaging speaker who incorporated group interaction in a fun and meaningful way. A few comments from attendees: ‘This was awesome; one of the best sessions we’ve ever had’ and ‘It helped me understand who I am as a leader.’ Nancy has the highest level of professionalism from start to finish; I highly recommend her as a speaker to any organization seeking to help develop effective leaders. 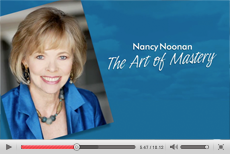 Nancy Noonan’s opening keynote, ‘The Art of Mastery: Make Each Day a Masterpiece,’ at our 2014 Annual Convention in Vail was inspiring, motivating, humorous and engaging. Our members walked away laughing, invigorated and ready to ‘make each day a Masterpiece!’ Nancy’s energy, personality, down-to-earth style, and expertise were enlightening, and she encouraged creative thinking in our lives, as well as our volunteer leadership roles. Nancy’s ‘The Art of Masterful Networking’ keynote was excellent, especially in how it relates to our corporate strategy of become a Relationship Leader. Her knowledge and enthusiasm definitely enhanced the presentation. Nancy re-ignites her audience! Her presentation was motivating, entertaining and thought provoking. Her facilitation skills are very evident with a good blend of humor, responsiveness and subtle guidance to capture the interest of the audience and focus the discussions. 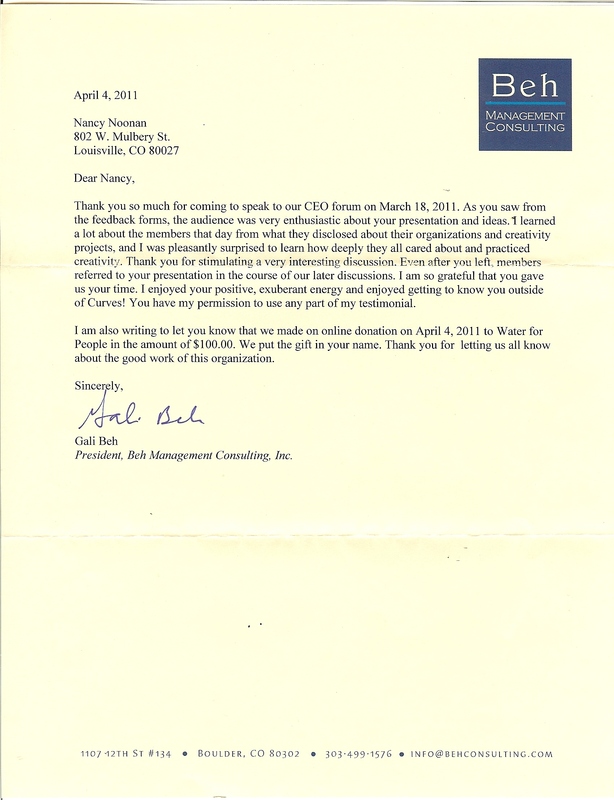 Nancy’s experience and expertise make her a superb speaker. Thank you, Nancy, for delivering a unique and inspiring closing session at our national conference. Your messaged combined just the right amount of wit and wisdom . . . with tools for our members to become more effective. Nancy engaged our audience from the very beginning by offering a connection to their professions, while using humor and passion to keep them interested. She was enlightening, energetic and incredibly relevant! Extremely well received, Nancy spoke to our group about improving their day-to-day operations through a lens that most had not even considered using. I highly recommend her. Thank you! Thank you! We can't say it enough. The comments have been amazing; your "The Art of Mastery" keynote was very well received—a HUGE success! We couldn't have done it without you! You started our conference on a warm, energetic and positive note! 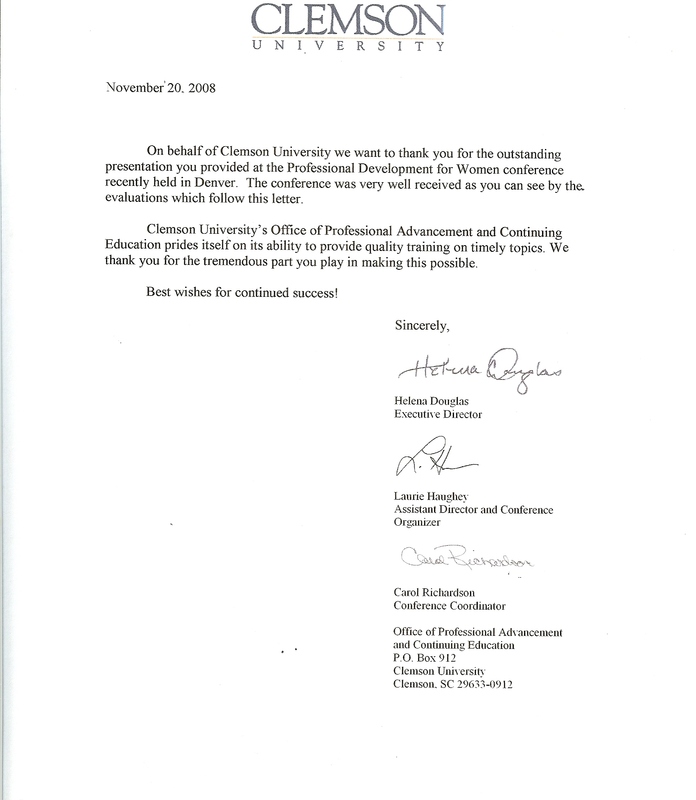 Our college & universities personnel have a difficult job and so esp. loved your inspiration and humor throughout, and that you had them thinking outside of their normal realm. We THANK YOU!!! Nancy’s ‘The Art of Masterful Networking’ program for our annual conference was excellent, both in content and speaker style. She is a dynamic speaker and made it very interactive with great tips and strategies to practice. This 'Art of Masterful Networking' program, and the speaker were both excellent! 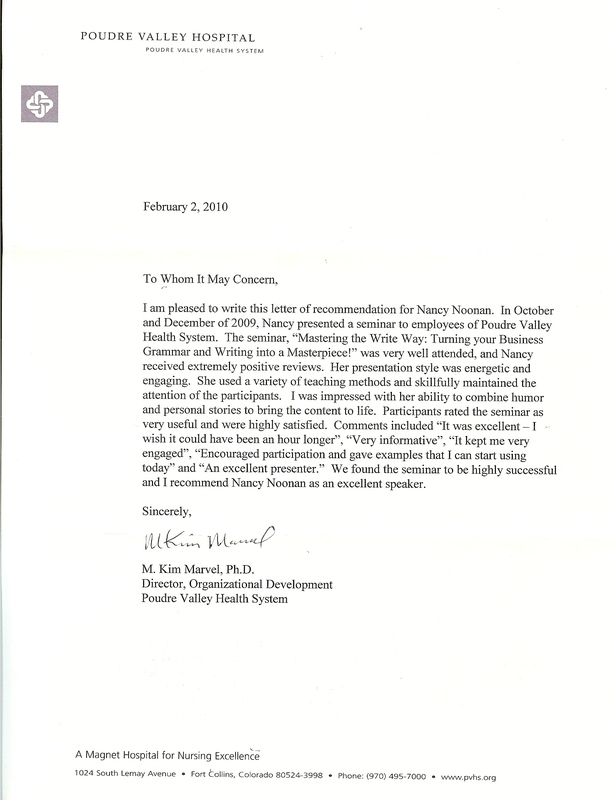 The material was very organized and Nancy was refreshingly clear and direct. This will greatly help me improve my business by networking and developing relationships in a more mindful way. The way you connected the success strategies of the Master Artists and how we can be successful ourselves was brilliant. Learning how to build our 'masterpieces' and utilize the 3 chief strategies will help our staff excel in our service delivery and work with the children and families, as well as find continued inspiration. Very happy to kick off our Networking workshops with Nancy Noonan. So refreshing to hear an engaging presenter with great content and style. In her keynote at our annual conference, Nancy kept our audience engaged by using group participation and more importantly, humor! As one attendee said, 'You are an incredibly gifted speaker!' She was a pleasure to work with and we ABSOLUTELY recommend her as a speaker. Nancy Noonan returned for the 2nd time to keynote for our annual conference with ‘The Art of Masterful Networking.’ Once again, she did not disappoint. 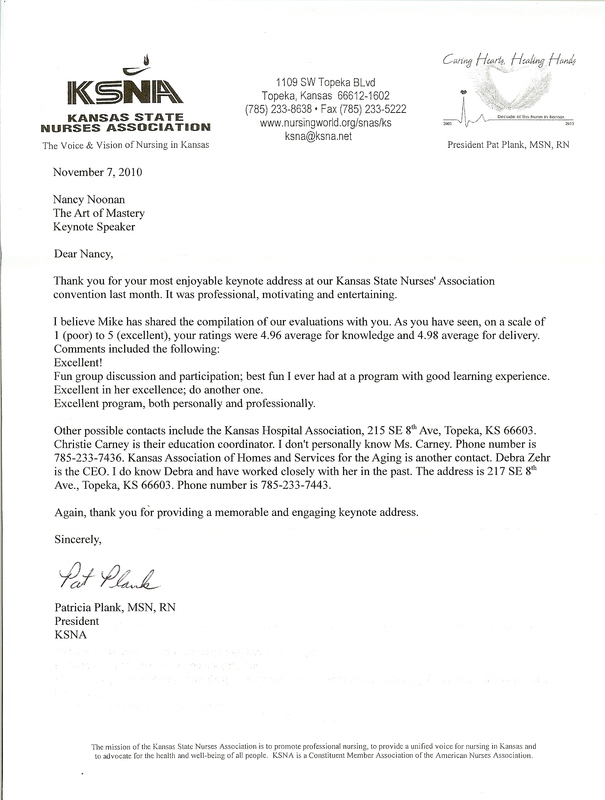 There were many positive and enthusiastic responses from our attendees, including ‘This presentation was amazing!’ and ‘Wonderful ideas on how to better relate to patients and parents’ and ‘Very useful and timely.’ I recommend Nancy to any organization as a relevant, inspirational and motivational Keynote speaker. —Brian J. Calkins, Program Director, The Florida Association of Pediatric Tumor Programs, Inc. Thank you for keynoting for our Women's Leadership Express Conference. We appreciated your expertise, that you were so easy to work with and would recommend you to any organization that would like to incorporate 'laughter' into the workplace. Nancy Noonan presented at our annual meeting and she was AWESOME! With her strategies, we were able to visualize new ways of managing our current laboratory operations. Using her methods, we will be able to motivate our staff to work and learn at their highest levels! Your 'Art of Mastery' keynote fired up the whole audience and set the stage for a very successful conference! You are a stellar speaker and very easy to work with; we hope to have you back to again provide that 'spark' we all need! Your information on creativity will definitely help me generate more clients! Your creative program with its unique angle of 'making Masterpieces' out of our businesses and lives provided many good ideas . . . to stay energized and motivated and to 'take control of our destinies'—vital to success. —Phil Catron, President, NaturaLawn of America, Inc. Your keynote kick-started our conference with a much needed boost for our members! You were the attendees' favorite presenter, hands down. You energized our group to self-motivate and gave them tools to cope with potential feelings of being overwhelmed. We enjoyed your excellent presentation skills, enthusiasm, energy and that you were down to earth. You were outstanding! Our very impressed attendees said your staff workshops were both 'fun' and had 'great content!' You have a special talent for spreading information that people actually hear and retain. It was a boost to our staff development committee to bring in such a quality speaker! Nancy captivated the audience from the minute she started and was wonderful to work with! This was such a new perspective! Nancy was warm, engaging, captivating and energetic! I wish it could have lasted even longer! Your closing keynote was an important contribution to the success of our ASCLS 77th annual conference. Our participants were very pleased. Thank you, Nancy! We gave you a ten out of ten! You were extremely professional and really spoke from the heart! Our participants talked about your session all three days! You electrified them and gave them much needed permission to go outside the box! Nancy got our convention off to a great start! Her upbeat and humorous approach really brought our members into her unique presentation; she was thought-provoking, fun and energetic and kept the full attention of our group. It was both a useful and inspirational session! 'Best fun I ever had at a program with good learning experience,' and 'she was excellent in her own excellence!" were comments by our nurses. Your keynote was memorable and engaging, as well as professional, motivating and entertaining. Thanks for speaking to our CEO Forum with your program, 'Stretch Your Creativity Canvas: Creativity for CEOs and Their Organizations' and for stimulating a very interesting discussion. The CEOs were very enthusiastic about your presentation and ideas and enjoyed your positive, exuberant energy. What a wonderful way to conclude our National Conference—with your closing keynote. You were joyful, gave us tips and specific activities to use immediately in our work and lives--and made us laugh. We couldn’t have asked for anything more exceptional! Your evals were brilliant! You made them think, you made them laugh. And you made me look great! You're an association executive's dream speaker to work with! I stand by my recommendation of Nancy—she masters her art beautifully. With her 'Art of Mastery' presentation at our annual Awards Banquet, Nancy handled a loud, acoustically challenging situation with great poise and humor. She was very professional, courteous, observant, curious, intelligent, playful and passionate, with a unique way of drawing on people’s inquisitive nature and encouraging participation. Nancy is a delightful speaker who developed an instantaneous bond with our group. She gave us practical ideas that apply to our work world. Your wonderful keynote was a real highlight to our annual conference! Your creativity and enthusiasm (you spoke with the passion of a new discoverer!) lifted everyone's spirits and sent audience members away with new resolve to nurture their creativity, and to enthusiastically seek out new ways to do things! I really appreciated your encouragement to think differently and to work on small changes to improve things. Your great sense of humor was a bonus! Inspirational! You kept us engaged with your high level of energy and enthusiasm and great interaction opportunities. Everyone really appreciated how you made your presentation applicable to the educational purchasing profession. Your keynote made our conference! Many felt your opening session was 'engaging, energizing, informative, inspiring and set the tone for the rest of the conference.' You were prepared, accommodating and easy to work with. We highly recommend Nancy Noonan to energize and engage audiences, while throwing in a little education that she can't seem to resist! Empowering! Inspirational! Enthusiastic! 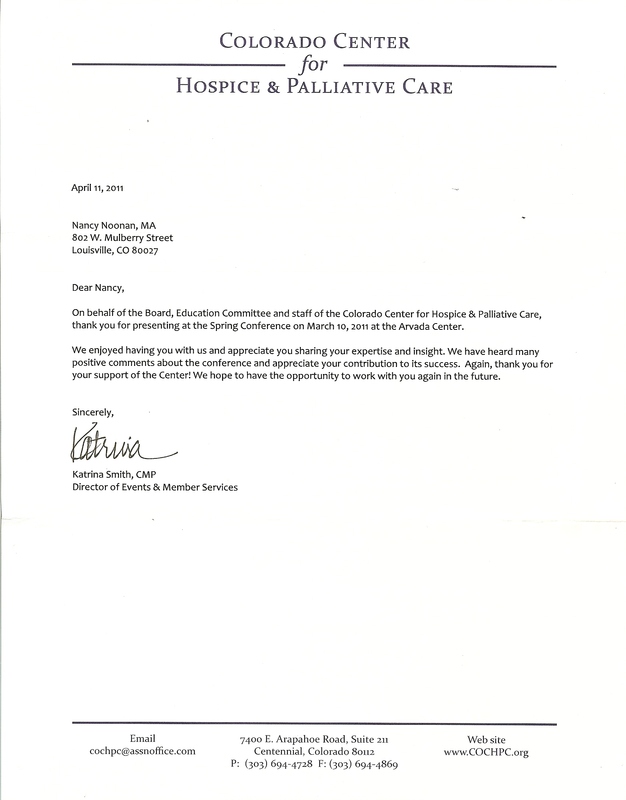 Your evaluations are outstanding and we enjoyed your enthusiasm and positive approach to life. This program was a WOW! It was so creative and inspiring, and your enthusiasm and active personality kept our attention the whole time! Now I can better utilize my own creative tools in all aspects of my life. Your message seemed to ignite the entire room! It was both empowering and motivational for our women. Your program surpassed our needs! Nancy’s opening keynote challenged everyone to 'create their own masterpieces' by being bold and creative in their everyday work. Her excellent stage presence, coupled with a thoughtful and meaningful presentation, helped establish a framework for the rest of the conference. Thank you for the outstanding presentation you provided at the Professional Development for Women's conference. Our board was charged with bringing in a motivational speaker to give the members tools they could use in both their personal and professional lives. You met and exceeded the board's expectations! You are a very creative, animated and motivational speaker! Nancy's program was fun and invigorating--a real shot-in-the-arm! Your program will help me with problem solving in my law practice where creativity is needed! I really liked the creativity of your presentation itself and, you’re right: Michelangelo is very inspiring! Nancy's use of stories about real situations to reinforce the leadership points was outstanding! She was very engaging! This will really help me deal with and lead different types of workers and their different personalities. Wow! What a great presentation that stimulated the visual sense, as well as the creative. You really made people sit up and think. Our members really liked your knowledge of not only art history, but also communication and our industry. There was universal agreement that your presentation helped to unlock ideas from everyone at our retreat. Thanks again for a very lively, interesting and results-producing workshop! Thank you for sharing your expertise and passion for leadership with your program, "The Mastery of Leadership: Leading with Excellence in Challenging Times" to our Leadership Alumni. They appreciated that you presented the material in a fun, memorable way and valued that you involved them and gave them practical information they could use. Your stories were also inviting and engaging! We have heard many positive comments about your opening keynote and hope to work with you again. SUNA members walked away with tools and strategies to overcome stress, manage and grow with change and use creativity as a step towards success. Nancy's ability to interact with the audience was excellent! Nancy was not your typical 'this is what you should do' speaker. Her presentation was captivating with stories and strategies that we took back to the workplace with a plan to use in practical everyday situations. I particularly liked how you made your presentation 'real' to the title business. Your alive energy created great interaction with our audience and I loved your encouragement to rediscover our own creativity. Your creative comparison of using art in reference to everyday and work activities is a refreshing approach to success coaching. Our members said they left your program inspired to make positive changes, take risks, be more creative and stop dwelling on obstacles in their lives and work. Your talk opened up new areas of thinking for me and will definitely help me integrate my left and right brains to be a better manager. Very inspirational! Excellent Communication program! The hands-on activities were informative and fun. Learning about the different types of people with the DISC behavioral information will really help me communicate better with types different from myself. Your energy is an inspiration to all! Your presentation was very thought provoking and gave me great ideas to get my staff to be inspired! I went back to work with a new outlook--to revitalize! You have a great ability to relate art to business that will help me be more creative and take more risks. I liked learning about the masters and their connection to today. We sat spellbound as Nancy inspired us to create our own masterpieces. Her enthusiasm was contagious! The combination of her knowledge of art and her motivational approach made for a truly inspirational and enjoyable presentation. I have heard some of the top speakers in the country -- I really enjoyed the creativity you brought to your program. Very inspiring! It had a lot of 'meat and potatoes' and I was motivated as well! Nancy really captivated a diverse crowd with amazing energy and creativity! Excellent! It was a very informative program. It also made me look closer at myself as a leader. Your program was so fascinating and inspiring -- no wonder we gave you a standing ovation! Our audience members said you and your program were creative, energizing, fun, different and educational! What an excellent program and speaker--humor in addition to great content! Nancy’s seminar, 'Mastering the Write Way: Turning Your Business Grammar and Writing into a Masterpiece!' was very well attended and highly successful. Participants rated it as “very useful” and were highly satisfied. I was impressed with Nancy’s ability to combine humor and personal stories to bring the content alive. I recommend Nancy Noonan as an excellent speaker! Nancy's interactive keynote, 'Are Your Roots Showing?' for our annual Administrative Professionals Day event was rated by our attendees as very 'uplifiting, lively, engaging, humorous and motivational.' Nancy's expertise makes her an extraordinary speaker and a superb motivator; her humorous message inspired the audience to strive to be their very best. You made ARNA look good in selecting such an out-of-the-ordinary keynote speaker! Such unusual artistry and grace in your delivery. You gave us the gift of excitement about ourselves and the role we play in the lives of others!